Together with the book Cracking the GMAT Premium I bought, I saw online Practice Tests 5 -10, but no Practice Tests 1 -4. Could someone let me know where are Practice Tests 1-4? Besides, am I allowed to take the same practice test multiple times? While it might be tempting to retake a CAT that you've already worked through, retaking a CAT that you've already taken is NOT a realistic way to assess your skills. Seeing even a few 'repeat' questions can 'throw off' the Scoring Algorithm and impact your pacing, energy levels, fatigue, etc. (meaning that they would likely all appear to be better than they normally would be). In addition, it's worth noting that each CAT is really a 'measuring device' - when used correctly, it will give you a realistic score and help define your strengths and weaknesses, but it will NOT help you to fix any of those weaknesses. To raise your scores, you have to learn the necessary Tactics and put in the proper practice and repetitions. The CAT will show you whether your studies are helping you to improve or not. As such, you really shouldn't take more than 1 FULL CAT per week. The same case is with me i have registered my book and found the same 5-10 numbered CATs but Princeton review promise 6 CATs with a book. 2. They may provide 10 CATs to their online or live courses and a book holder can get only 6 CATs and they providing the last six (5-10), So technically there is nothing to worry about, you were supposed to get 6 CATs and you have them. No matter they are numbered 1-6 or 5-10. I don't think you will get 4 more CATs. But if you are seriously concerned you can contact their customer care section. Meanwhile enjoy your GMAT Prep. To what exact practice exams are you referring? 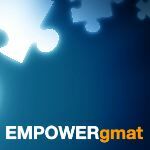 Also, since you are just starting out with your GMAT prep, are you looking for advice regarding your study plan?